A handy tool for many home improvement projects, brad nailers are specifically designed to run 18 gauge brad nails, which almost disappear from sight when driven correctly. 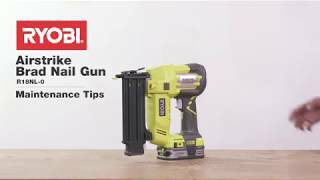 The Ryobi 18V ONE+ Airstrike 18Ga nailer uses AirstrikeTM technology, meaning you can forget about loud compressors, costly gas cartridges or cumbersome air hoses. Instead, enjoy true cordless convenience thanks to our ONE+ battery system. When you are shopping for a brad nailer, it pays to choose a trusted manufacturer. 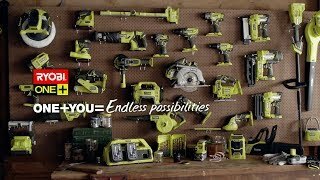 Ryobi has a reputation for making quality tools and hardware that serve millions of homeowners, hobbyists and craftspeople. To stock up on the power tools you need, Ryobi has you covered every time. Find your next brad nailer at your local Bunnings store today. In-tool air compression. AirStrike™ Technology eliminates the need for noisy compressors, bulky hoses or expensive gas cartridges. This means faster setup and easier manoeuvring.